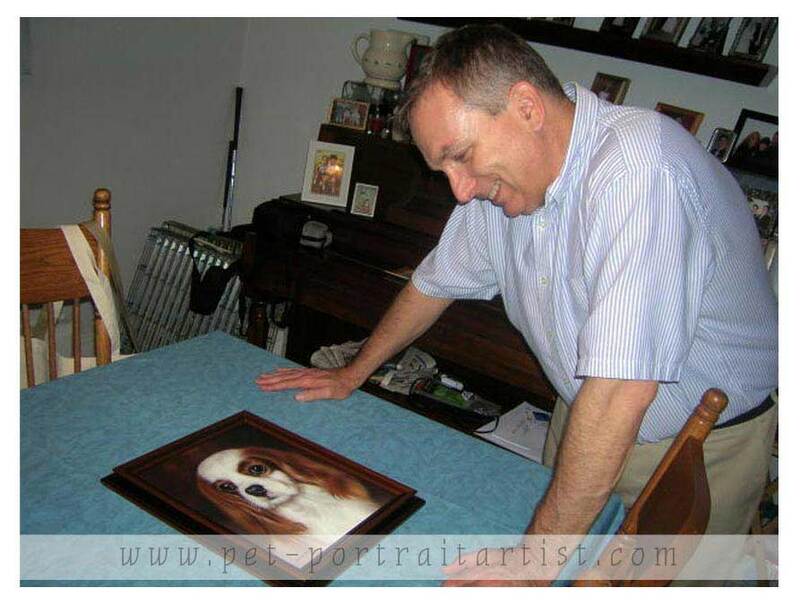 Ellen commissioned a surprise portrait of their dearly departed Chester for her husband Jim's birthday. 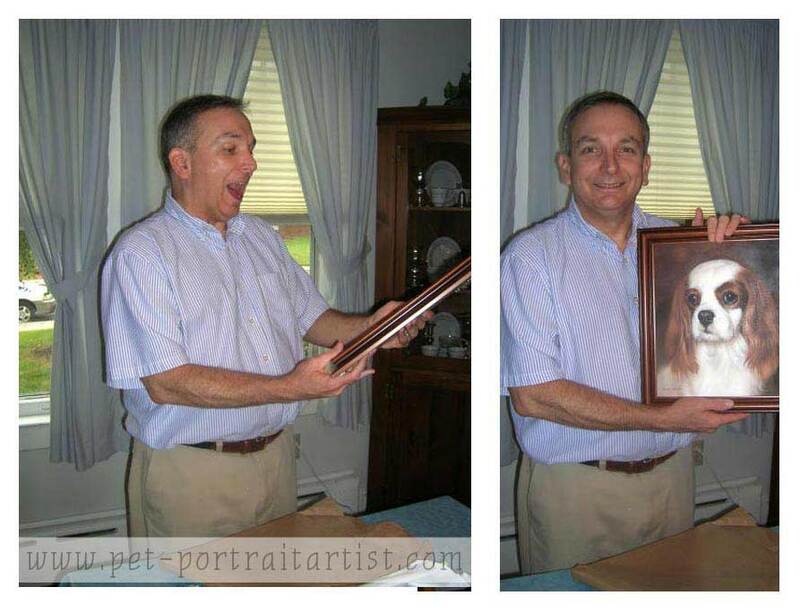 Ellen very kindly took some wonderful photos of Jim opening his portrait and it shows his reactions! 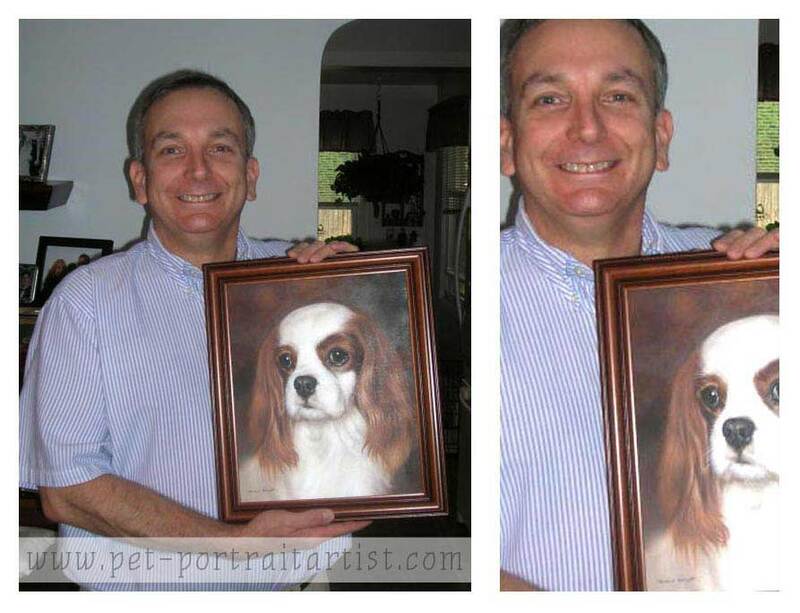 They also ordered prints each for their offices. We hope you enjoy reading the testimonials below.